Motorsport Technology links fans with Formula 1 and Formula E teams, providing an insider view into how the teams use data, design race cars, and achieve engineering excellence. “Modern motor racing is a data-intensive and technologically advanced sport. Data helps the teams to understand the car’s behavior on the track and improve its design in the factory. When combined with the experience of seasoned drivers, engineers, and team leaders, data fuels innovations that we are witnessing today. I’ve always been fascinated by the technical side of racing. I used to spend a lot of time with my engineers. I’ve always believed that to be a great pilot you had to know the art of racing. And today, I’m sharing my experience with Renault e.dams Formula E team. When dealing with important data, you need an easy and reliable way to protect it. 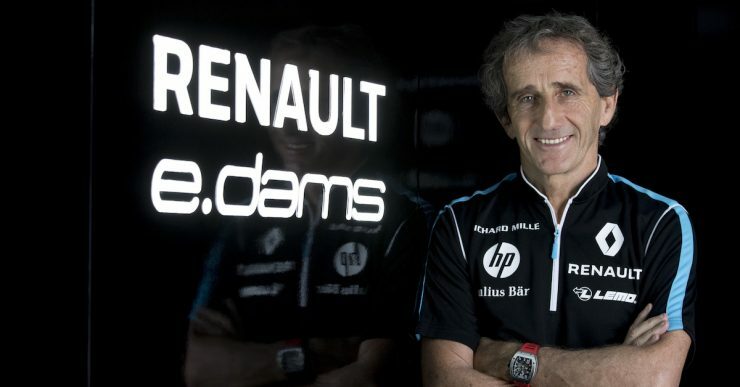 Acronis offers a great set of data protection solutions, allowing motorsport teams to focus on their core business of designing cars and racing,” Alain Prost, four-time Formula One World Champion, Renault e.dams team co-owner. Motorsport Technology is an Acronis Motorsport initiative. Do you have questions or interesting story leads? We’d love to hear from you! Please email our editor Guennadi Moukine on [email protected] and we’ll get back to you as soon as we can.